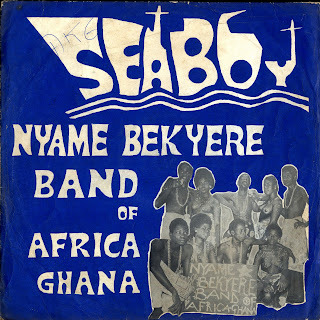 For the next selection on the highlife turntable I have chosen 2 tracks, Nyamenke aziama and Kekerenikreni, by the Nyame Bekyere Band led by Seaboy J.N. Ebroni. The Nyamenke Aziama is off an Essiebon release and the Kekerenikreni tracks is an excerpt of a medley on a Ride Way record release. I noticed Hippo Records recently included a song by this band in their Ghana Funk release and I though I'd share some of the tracks I liked from the LP's I have been able to collect. Hopefully, their CD has some information about the perfomers as their are no liner notes on the three LP's I have and their was precious little on the internet. There was one reference to an "ace actor" Seaboy J.N. Ebroni and the fact the perfomer Safohene Djeni was a member of the band at some point. I started looking for his music when I heard a track on the Beats for a new continent CD someone sent me. The Nyamenke Aziama song is slower than the Kekerenikreni number, but both songs showcase the vocals and the rhythms in really beautiful ways. Michael, nyamenke aziama is beautiful stuff, thanks for posting that. 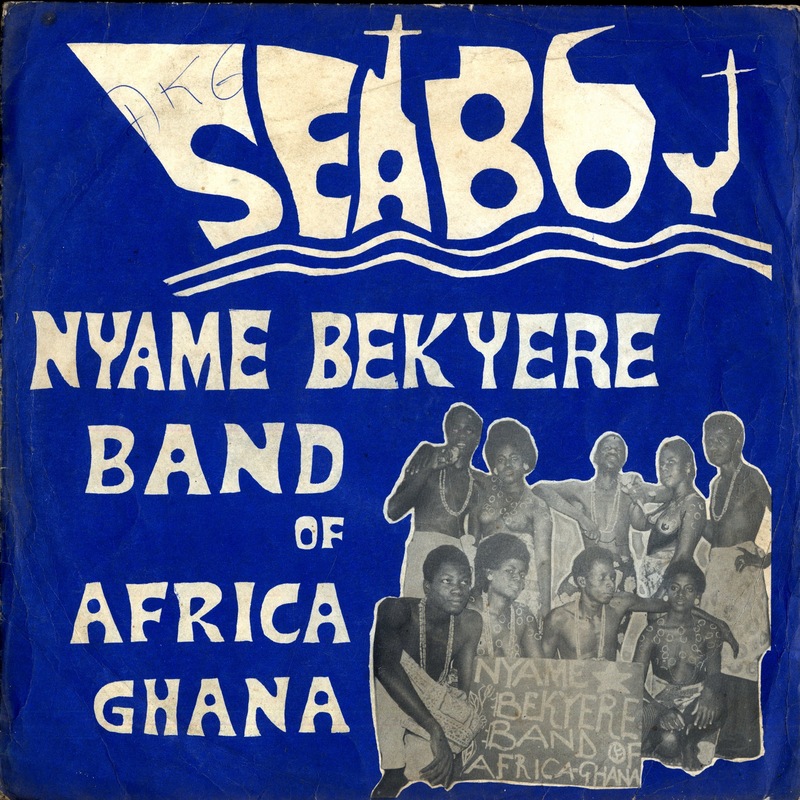 I've got a question you mention Safohene Djeni - I was under the impression that this is Safie Deen who later started the label - am I correct in this? There's a bit more info in the liner notes of the Ghana Funk album I compiled for Hippo Records. The bottom line is that Seaboy is a comedian who also sings. He and his band used to perform at 'concert parties' (a sort of travelling minstrel show combining theatre, music and dance). I appreciate the information about seaboy.